Epilepsy is a seizure disorder that occurs in humans and dogs. 1 in 26 Americans will develop epilepsy, 1 in 5 Dogs will too. MedVet Medical & Cancer Centers for Pets is participating in promoting International Epilepsy Day on Monday, February 8. Epilepsy is a seizure disorder that occurs in humans and dogs. MedVet Medical & Cancer Centers for Pets is participating in promoting International Epilepsy Day on Monday, February 8th. This is an annual event to promote awareness of epilepsy worldwide. Epileptic seizures can vary from brief and very subtle trembling to long periods of vigorous shaking and disrupt lifestyles for affected people and their canine best friends. Similar to people with epilepsy, the cause is unknown in most dogs, although more serious problems, such as trauma, infections or cancers also occur. There are various reasons for owning a dog or any pet for that matter, but today I am going to boast on behalf of our canine friends. If you are on the fence about getting a dog then I am here to tell you all the reasons why it would be a benefit to you as a single person or as a family dog. 1. Walking your dog gets you healthy – Unless you live on a farm with lots and lots of room for a dog to run you will be walking the dog. In turn this will make you a healthier and happier individual. Dogs love to go for walks and will encourage you to take your walk every day and you will have a loving, enjoyable, warm, interested companion. Not to mention a great protector. You may think, what if I have a small breed, what can they do for me? I can tell you from experience that the small breeds can be just as scary as the larger dogs. When I was a teen a friend of mine had a Chihuahua and every time I came to see them that dog would attack me. I was terrified and called ahead to get it restrained. It was so fast and little it was hard to figure out where it was going to attack next! I myself own a two pound Toy Fox Terrier who thinks she is a Pit Bull. She stands her ground with the biggest dog and lets you know exactly where she stands at all times. The funny thing is that no larger dog or person is yet to challenge her! 2. 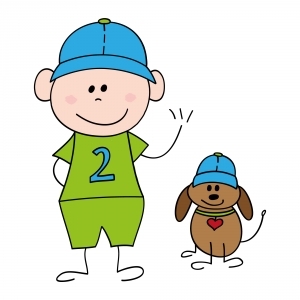 Petting dogs lowers your blood pressure – Studies have been done and have substantiated that petting a dog or any animal lowers your blood pressure. So for those of us with high blood pressure this is ideal. This is also beneficial for those who do not suffer from high blood pressure but are in a high stress environment and need the calming affect of a canine. 3. 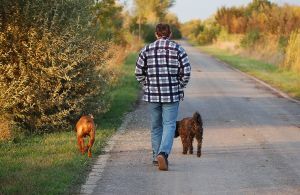 Recovering from a heart attack – Statistics show that pet owners recover faster from heart attacks when they own a pet. It also shows that they have better chances for survival if they suffer a heart attack than those that do not own pets. 4. Dogs can detect epileptic seizures and diabetic blood sugar levels – There are studies being done regarding dogs detecting epileptic seizures, it seems there is some controversy on the subject. The diabetic dogs are a proven method for those who have Type 1 Diabetes however. It seems dogs can be trained to smell changes in the breath of their masters and let them know when their blood sugars are dropping to a critical level. I have some first-hand experience with this one as well. I have an aunt who is a Type 1 Diabetic and she has owned multiple Yorkshire Terriers who were all valuable to her and one who she deemed as a miracle dog. Her dog, Kylie, would awaken her from sleep every time her blood sugar would drop too low. It seems that my Aunt is a brittle diabetic and her blood sugar would nine times out of ten drop at night while she was asleep. Kylie would wake her every time. What a marvelous blessing this dog has been to my Aunt! Having a pet of any kind helps their loneliness but there is just something about a dog there to greet you at the door with a wagging tail that really makes you feel at home. 5. Improves loneliness, heals personal trauma, and helps your social life – There are so many people today who live alone and not by choice. The elderly, the singles, and the widowers are just a few examples of those who live in solitude. Having a pet of any kind helps their loneliness but there is just something about a dog there to greet you at the door with a wagging tail that really makes you feel at home. It does include extra responsibility for the individual but the benefits of love, protection, exercise, and social interaction that a dog brings can be the difference that a lonely individual needs today. Dogs can also benefit those who have suffered personal trauma as in the case of loss of a loved one. If dogs are nothing else they are great comforters and are always there for you. There is something about having a warm, living creature by your side when you are hurting. And they do not need to say a word. I was in a serious automobile accident and could not walk for a long period of time. I had an animal that stayed by my side, listened, put a warm paw on my arm and looked in my eyes and seemed to feel my emotions. It is a wonderful thing to have a companion like this at critical times in one’s life. It is also true that you always have a social companion and they often draw you to other dog lovers. When you go to a dog park and walk your dog you meet other dog lovers and can strike up friendships. You can take your dog to the large pet stores and meet people who are of the same mind. 6. Protection – Dogs are a means of protection no matter what their size due to their heightened sense of smell, sight, and hearing. They can hear things we cannot and when we are dead to the world in sleep they are still very alert. They can smell smoke and alert us to fire, they can see better than we can in the dark. They are a wonderful sense of security; just knowing you will be alerted to an intruder is benefit enough. They can also tell the difference in the sound of your car engine verses a stranger, as well as your voice and scent as compared to any other human. I have had many dogs in my lifetime and all hold a dear place in my heart but none as beloved as my dear German Sheppard Max. I was a teenager and we lived on a three acre piece of property out in the outskirts of town. 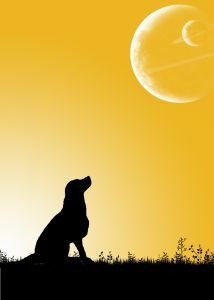 My dear Max would circle the entire property all through the night and day but especially during the nights. We lived in a remote area in Florida near some swamps so this meant there were many varieties of animals that would visit us from time to time. He took care of any and all that would encroach upon his domain. If a car drove through our gates they were not allowed to get out unless he knew them. We would have to come out of the house and tell him that they were okay, they were our friends. I have particularly fond memories of my dates bringing me home at night. There was absolutely no kissing goodnight once you left the car. Even if Max knew them well they were not allowed to get that close to me. He was not mean to those he knew and loved, just strict. He would push in between us and separate us and if they still persisted he would stand up and put his paws on their shoulders and look them in the eye. He got his meaning across quick and to the point. My Father traveled a lot and I think Max knew that he had to take over the role as the great protector! 7. Calming effect on hyperactive or over-aggressive children, self esteem, anti-depressant, and teaches responsibility – The benefits of a dog on children is wide spread in that they can help a child dealing with ADHD and other physical or emotional issues because they are so comforting and have pretty much unlimited patience and energy to spend with children (depending on the breed of course). They are said to also instill better self-esteem in the lives of children who own them. They are said to do much better in school and in social situations. Feeling unconditional love by a dog can be a wonderful experience. Playing with a dog can also elevate your serotonin and dopamine levels which help with depression, anxiety, and a general sense of well being in any individual including children. It is also a great way to teach your children responsibility when they are the care of an animal in their charge. Of course you will want to be there to oversee that the dog is getting the proper care but allow the child to do the actual work until they completely take over the responsibility. There are also working dogs that help us in so many ways. There are Seeing Eye dogs, hearing dogs, therapy dogs that help in recovering patients of illness and therapy dogs for mental health patients. Dogs that protect us who work for the police and the army, search and rescue dogs who find us when we are lost or hurt as well. The loyal farm dogs are in place to take care of the flocks and protect the animals on the farms from predators. They guard us, entertain us, love us, and never want to leave us. There are so many benefits to having a dog and they do so much to keep us happy, well, and safe. I do believe that the positive outweighs any negatives you can think of! – Ken Myers is the founder of longhornleads.com & has learned over the years the importance of focusing on what the customer is looking for and literally serving it to them. He doesn’t try to create a need; instead he tries to satisfy the existing demand for information on products and services. Growing up I can’t remember a time when there wasn’t a dog in the house. I just thought they were good buddies, but I never knew they were actually helping us live longer. In fact, studies show that people who have dogs live an average of 3 years longer than non-dog owners. If that’s not a good enough reason, then wait, there’s more! Any dog owner will tell you that within a few minutes of being around Fido or Scruffy, they just simply feel better and less stressed. Science tells us it’s not just your imagination. The stress hormone cortisol is actually lowered after spending time with the family dog. Anything that lowers stress is good for your overall health. Studies show that people who have dogs live an average of 3 years longer than non-dog owners. Researchers have found that kids who grow up on a farm with animals or in a home with dogs are less likely to develop allergies. They also tend to have a healthier immune system and are less likely to be depressed. Studies show that dog owners are more likely to see the world in a more positive way and are less likely to have as much anxiety. The American Journal for Preventive Medicine revealed that “dog owners walked an average of 300 minutes a week compared to non-dog owners who walked an average of 168 minutes a week.” And a University of Virgina study showed that teenagers got an average of 15 minutes more exercise a week than those that didn’t have a dog. Just the fact that dogs have to be walked at least twice a day forces you to get some exercise. But it’s even better than that. Have you ever noticed that dogs are a good conversation starter? They also kind of force you to be social, which is good for your mental health. I’ve noticed that the neighbors refer to people as Max’s mom or Molly’s dad. Just having a dog makes people more comfortable about talking to strangers and gives them something in common to talk about. A doggie park is a great way to meet new friends and stay active at the same time. Encourage the kids to bring a Frisbee and a ball and you’ve just created your own workout routine. There are even yoga classes for people and their dogs called doga. Watch for signs that your dog is tiring or dehydrated and bring plenty of water for them. Just like a person who is just starting a workout routine, make sure you ease the dog into it slowly and go at their pace. If you notice they are drooling, stumbling or having trouble breathing, stop for the day. It’s best to wait until they are at least 9 months old before engaging them in any strenuous exercise. Also, older dogs usually don’t have the same energy as a young child, so take it easy with them as well. Owning a dog is as good for the kids as it is for adults. But owning a dog is a big responsibility. Make sure the whole family is on board with the job of caring for them. As any dog owner will tell you, a dog is one of the greatest joys in life, and now we know they also extend our lives as well. – Julie Austin is an award-winning writer and inventor. Her product Swiggies, wrist water bottles for adults and kids, was a NASDAQ product of the year semi finalist and are sold in over 20 countries. They have been approved by Child Safe International as a safe, BPA-free product.